Augustus Basil or just Augustus if time is pressing. Generally ‘Soave sia il vento’ from Così fan Tutti, although it has been suggested that the Star Wars Imperial March matches my stride better. I'm slightly wary of cats who will tell you their age, they are inclined to tell you anything. Never a good thing. The writer Alexander McCall Smith lives with me. We share an office. 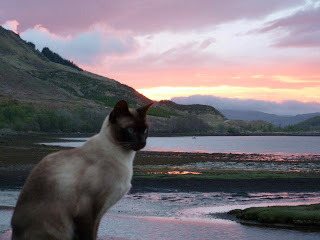 I decided to make the career change from pedigree Tonkinese to literary advisor six years ago. 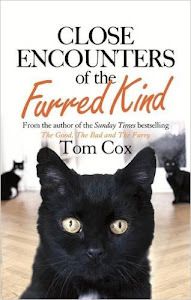 Joining the McCall Smith household has been very rewarding but I think my best work is ahead of me, particularly when I can persuade Alexander that a series based around a cat would be a good idea. ‘97% is just fine’. Grace Makutsi from The No. 1 Ladies’ Detective Agency knows what I mean. Choosing gifts for fellow residents (art is always a good bet). Making my paw print on whatever Alexander is writing at the time. Tripping people up, preferably on the stairs, and tap-dancing. On keyboards. Some light exercise in the form of tripping people up before jumping up the chimney if I'm in Edinburgh, or inspecting the boundaries/surveying my kingdom from a wall if in Argyll. Freshly-caught fish. I am a cat of simple tastes. Taking to the high seas for the first time (I have my own life jacket). Travelling near fresh fish without having to move is exhilarating. The dogs Alexander writes about in his books - Freddie de la Hay from Corduroy Mansions and Cyril from 44 Scotland Street. He should include more cats in his work. Squirrels. Fewer dogs. More steps to trip humans up on. Thumbs for all. And an endless supply of fresh fish. WH Auden. Alexander is such a fan I'm intrigued. I find poetry quite tiring, personally. The Bear. He is obviously one of the finest cats of his generation with a taste for the better things in life. I share his stoical general disappointment with the world. 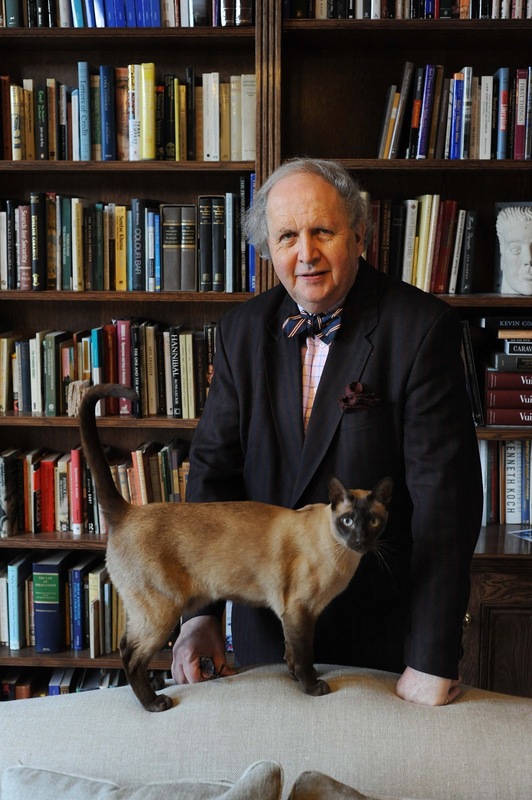 Alexander McCall Smith's new book Trains And Lovers is published by Polygon. 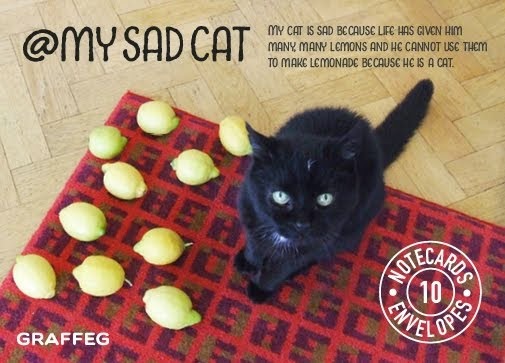 What an amazing cat, you just know he would never deign to answer to Gus or some other ridiculous diminution of his name.